A Vermont speeding charge is a problem for all Vermont and out of state motorists and have to be fought. 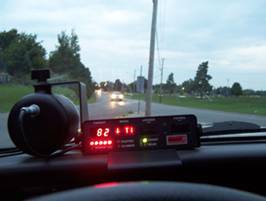 A speeding conviction can cause an insurance increase and potentially a license suspension. If you have a commercial driver’s license (CDL) it could result in a suspension of your CDL privileges. In other words, just because you received a speeding ticket does not mean you are actually guilty as charged and even if you think you are the state must still prove the case pursuant to the above standard. The state of Vermont’s case is predicated on 2 main elements of proof : the officer’s visual estimation and the radar results. Therefore, our defense of your speeding charge is predicated on defeating those main elements. Understand that it is very difficult for the State to make its case on either visual estimation or the radar reading alone; the 2 go hand in hand in order to satisfy their evidentiary burden to establish as HIGHLY PROBABLE the truth of the facts asserted. In fact, the visual estimation is so important that the police are trained to visually estimate FIRST and confirm with the radar SECOND. There are 2 types of radars used by law enforcement today – a doppler radar and a laser. Both have their infirmaries and weaknesses. A doppler radar works similar to the beam of a flashlight, widening as it gets further away from the radar unit. Large objects such as buildings, billboards, large trucks and heavy vehicular traffic distorts the wave and leads to an artificially high speed reading for the target vehicle. This is beyond dispute, as it has been judicially recognized in the New York State Court of Appeals decision of People v. Knight, 72 N.Y.2d 481, 530 N.E.2d 1273, 534 N.Y.S.2d 353 (1988). Contrast a doppler to laser which does not passively capture all vehicles in its beam but emits a pinpoint beam that must be actively aimed by the police officer at the vehicle. The evidence captured by the laser unit, in addition to speed of the vehicle, is the number of feet by which it locked onto the target vehicle to get its speed reading. A common area of suppression of both types of radars is to call into question the calibration and maintenance of the units. As a condition precedent to offering testimony of its reading, the state must put into evidence the calibration certificate. This requires calling not just the police officer but administrative witnesses whom maintain the records for the department. If the state cannot lay the proper foundation as to the “business records exception to the hearsay rule,” then the evidence of calibration, and therefore evidence of reliability, cannot come into evidence. Without that, the prosecution cannot elicit testimony regarding the radar reading on the stop. 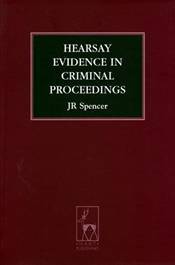 Assuming the state overcomes the obstacle of getting the calibration certificate into evidence, there are many areas of cross examination available to call into question the accuracy of the reading that the police testified to. For example, both types must be field tested for accuracy before and after the reading. With the doppler, things such as road conditions, weather conditions, objects in the area are all relevant as to the accuracy of the reading. With the laser, the distance by which the officer shot the vehicle and conducted his visual estimation is highly relevant to proving the “truth of the facts asserted” as highly probable. · The LONGER the visual estimation took, the SLOWER the vehicle was traveling. · The SHORTER the distance of estimation, the SLOWER the vehicle was traveling. · Calculating feet per second into miles per hour. · Using to your advantage the result of the testimony, EVEN IF the elicited testimony is close to what you have been charged with. Even if our attorneys cannot get your Vermont speeding ticket dismissed, often times our lawyers get relief by convincing the court that the state may have sustained its burden as it pertains to speeding, but not “as charged.” Indeed, the difference between 33 MPH and 30 MPH over the limit is the difference between 8 and 5 points; likewise, the difference between 21 MPH over the limit and 20 MPH over the limit is the difference between 5 and 3 points. Just this minimal relief may be what it takes to prevent an insurance increase.